Tag Archives for " Never Split The Difference: Negotiating As If Your Life Depended On It "
The idea that you might negotiate deals and jobs and even pay raises like a hostage negotiator might seem a little crazy, but when it comes down to it, understanding and dealing with human emotions in slightly charged environments is something most of us address daily. What if you were able to simply use a few proven tactics to better communicate and read reactions of others? Would that make you a more effective salesperson, leader, parent? My guest for this week’s episode of the Duct Tape Marketing Podcast is Chris Voss. Voss is the Founder and CEO at The Black Swan Group, a former FBI top hostage negotiator, and the author of Never Split The Difference: Negotiating As If Your Life Depended On It. He and I discuss how his experiences and tactics in international crisis and high-stakes negotiations can be applied to the business world and everyday life. Prior to 2008, Chris was the lead international kidnapping negotiator for the Federal Bureau of Investigation, as well as the FBI’s hostage negotiation representative for the National Security Council’s Hostage Working Group. During Chris’s 24 year tenure in the Bureau, he was trained in the art of negotiation by not only the FBI but Scotland Yard and Harvard Law School. He is also a recipient of the Attorney General’s Award for Excellence in Law Enforcement and the FBI Agents Association Award for Distinguished and Exemplary Service. 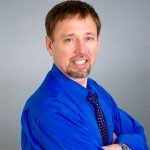 Chris currently teaches business negotiation in the MBA program as an adjunct professor at University of Southern California’s Marshall School of Business and at Georgetown University’s McDonough School of Business. Can people have negotiation as a street skill? Are there certain types of people that are better at negotiating than others? What skill should you master to be a good negotiator? Learn more about Chris Voss. Learn more about The Black Swan Group. To receive the free monthly newsletter with negotiation tips from Chris, text ‘ThatsRight’ to 22828. Read Never Split The Difference: Negotiating As If Your Life Depended On It. This week’s episode of the Duct Tape Marketing podcast is brought to you by Klaviyo. Klaviyo is truly a game changer. Unlike traditional ESPs or marketing automation platforms, Klaviyo offers powerful functionality without long implementation or execution cycles. It gives ecommerce marketers access to all relevant data from a variety of tools and makes it available to power smarter, more personalized campaigns. Bottom line, Klaviyo helps ecommerce marketers make more money through super targeted, highly relevant, email and advertising campaigns. Learn more at klaviyo.com. This week’s episode is also brought to you by ActiveCampaign. This is my new go-to CRM, ESP, and marketing automation platform. With its low cost, any size of business can use it. Starting at $19/month, you can keep track of your clients, see who’s visiting your website, and follow-up based on behavior. Learn more here.